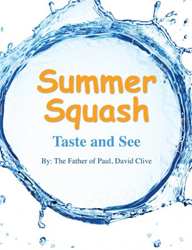 Within the pages of David Clive’s new book, Summer Squash - Taste and See, ($16.99, paperback, 9781498451864) readers will discover an entity named “Road-Kill Skunk” who presents The Gospel in order to save the youth of this generation. This “taste and see” book does not contain a single image. It contains only creative words, cleverly crafted to convey an unparalleled visual imagery to the heart and mind. There are many marvelous twists and turns on a path of hilarity leading only onward and upward into wisdom, truth and light. Xulon Press, a division of Salem Media Group, is the world’s largest Christian self-publisher, with more than 15,000 titles published to date. Retailers may order Summer Squash - Taste and See through Ingram Book Company and/or Spring Arbor Book Distributors. The book is available online through xulonpress.com/bookstore, amazon.com, and barnesandnoble.com.